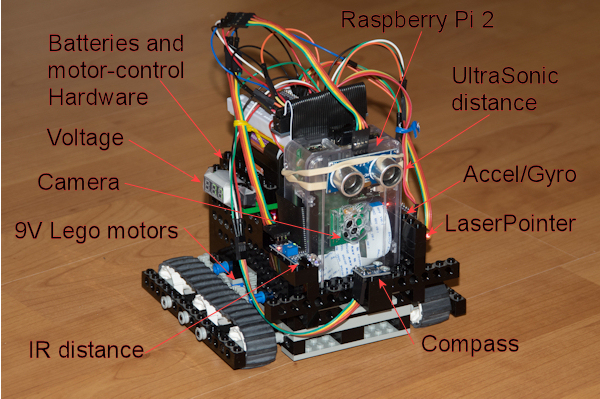 The LegoRover is a hobby-project for learning about sensors, programming and computer vision. Its aim is to crawl around on the floor and avoid obstacles and maybe do some semi-intelligent navigation. The plattform is Lego and parts from Mindstorm. The control-system is built on a Raspberry Pi 2 with a camera and WiFi connection. The sensors used are UltraSonic distance detector, IR distance detector, electronic compass, accelerometer/gyroscope and some other hardware.